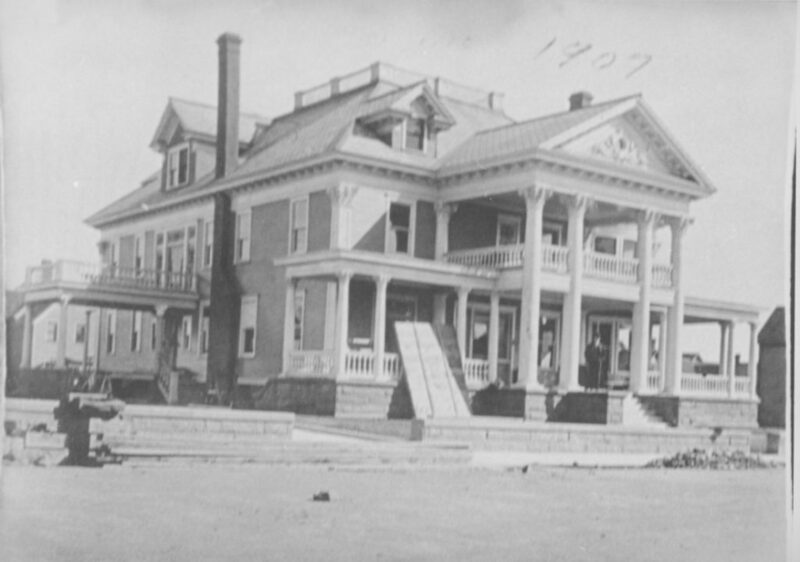 The year was 1908 and all over the Keweenaw Peninsula mansions were being built by the wealthy copper mine owners. But here in Laurium the largest and most opulent of them all was just being completed. Built for Thomas H. & Cornelia Hoatson, owner of Calumet & Arizona Mining Co., no expense was spared building this 45 room mansion. At a time when miners were making 25 cents per hour, this house was built at a cost of $50,000 and $35,000 of furnishings were added. The Hoatson’s owned this home until 1949. From 1949-1979 it was owned by Maynard & Jane Hurlburt. After the Hurlburt’s it went through a period vacancy with owners that stripped the mansion of light fixtures, furniture and stained glass windows. In 1989 Julie & Dave Sprenger purchased the vacant mansion and began the repairs and restoration need to open it as the Laurium Manor Inn. Since then we have continued to restore the mansion back into the spectacular home it was back in 1908 when the Hoatson’s moved into their new home. 100 foot long tile wraparound porch covering over 1200 sq.ft. On September 12, 1989 Julie & Dave took possession of the mansion and started renovating it. In October they completed the purchase.